Our Pro+ Jersey is anything but "mid-level." We introduced this jersey a few years ago and with some upgrades here and there it has become our most popular top. It features Coolmax fabric, mesh sides, and flatlock contrast stitching in your choice of thread color. The Pro+ Aero is available in both men's and women's fit from XXS-4XL in both Race and Club Fit. We offer more thread colors than anyone we know of to match the contrast stitching to your fabric. 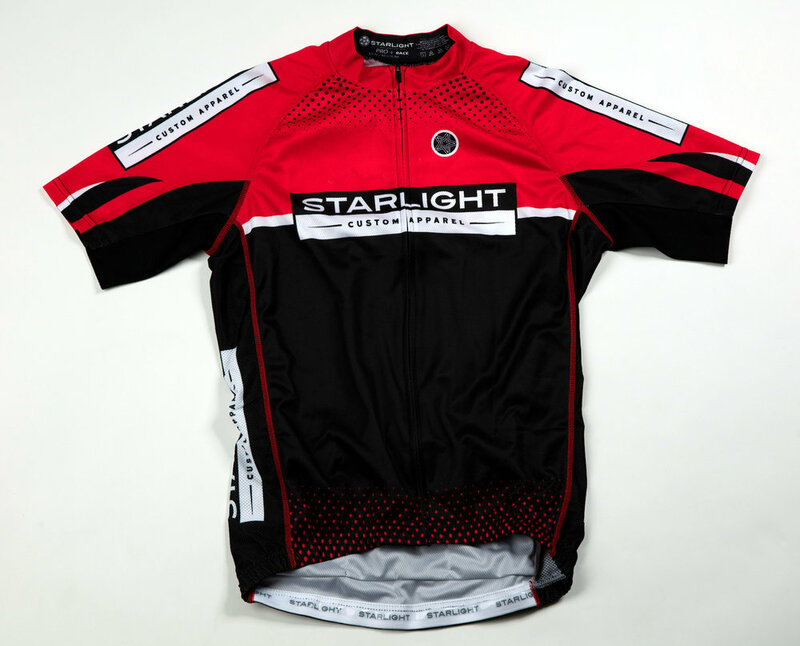 The Pro+ Jersey is our most popular for on and off-road. The light fabrics, double-stitched seams, and vented sides make it great for a day on the trails.